The newest Vegas fairy! 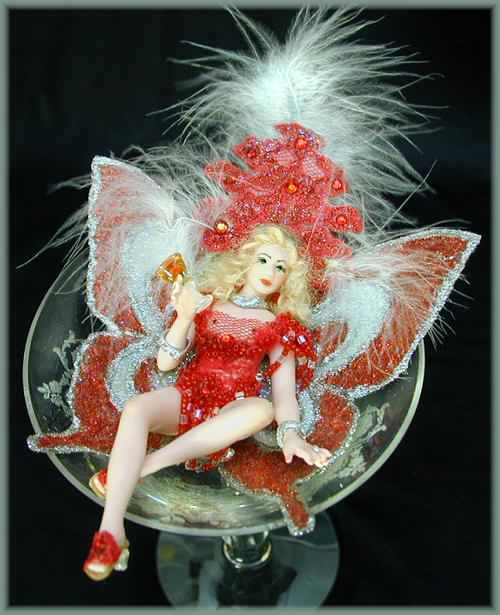 Due to many requests for another Las Vegas show girl fairy, here for your pleasure is Fairy Princess Blaze! 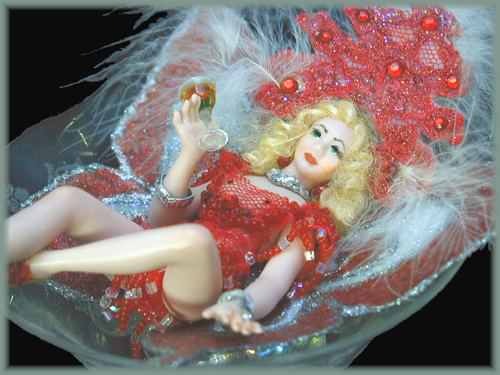 She rests atop aurora borealis clear marbles ("bubbles") in a gorgeous vintage etched wine glass. 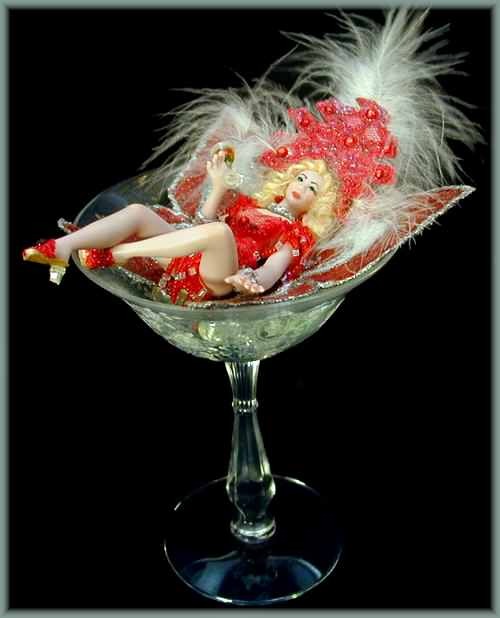 Blaze is definitely into the Vegas lifestyle - she's a showgirl dancer and she does enjoy an occasional martini - she's holding one in her right hand! Her costume is red lace with beaded fringe - all hand-made. She wears lots of jewelry and a gorgeous fairy head piece. Her wings are hand-made and hand-painted to match her costume. Her look seems to say, "Come out and see me sometime, big boy!" Fairy Princess Blaze is approx. 5.25" tall and has a wingspan of 4.5". Her etched wine glass is 5.5" tall. Like all JoAnnJ creations, she is a one-of-a-kind work of art and is signed by the artist. She also comes with a signed certificate of authenticity.